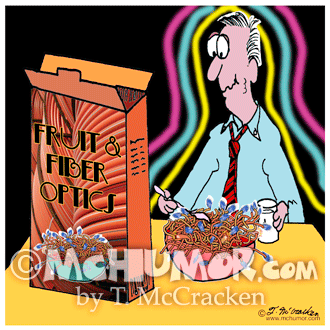 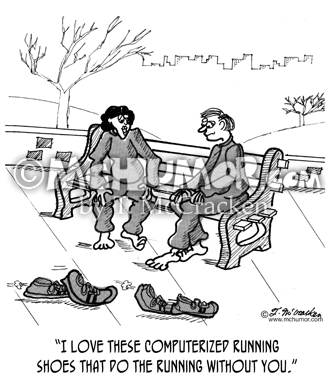 Computer Cartoon 2854: "Early attempts to turn a macro-chip into a micro-chip." 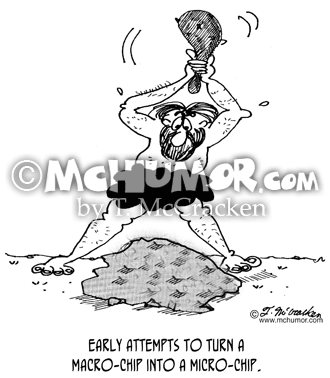 A caveman hits a rock with a club. 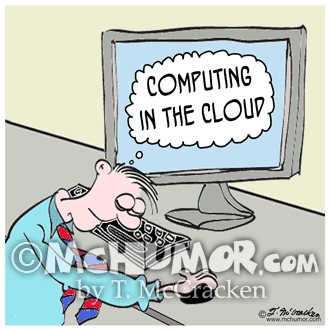 Computer Cartoon 9249: "Computing in the Cloud." 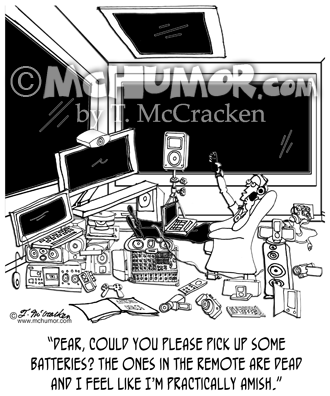 A man sleeping and dreaming in front of his computer. 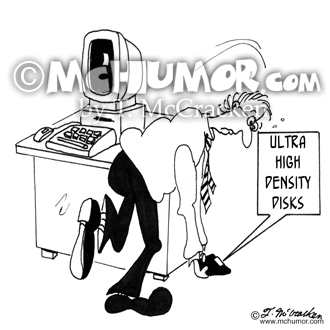 Computer Cartoon 6519: A man is bent over carrying an "Ultra High Density Disks" weighing 50 pounds. 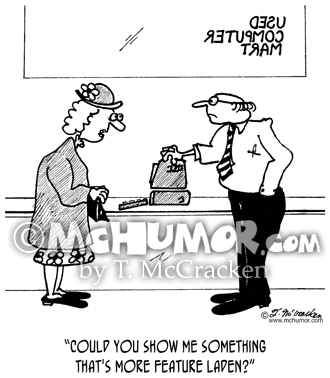 Computer Cartoon 2978: A little old lady says to a used computer salesman, "Could you show me something that's more feature laden?" 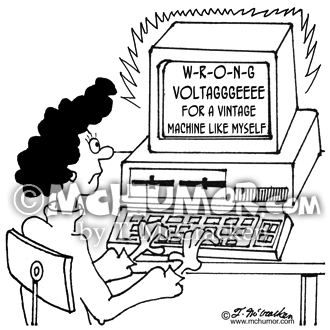 Computer Cartoon 4369: An old computer screen says, "W-R-O-N-G Voltagggeeee for a vintage machine like myself." 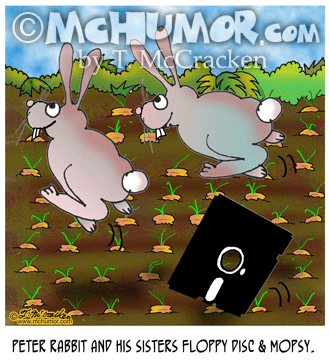 Rabbit Cartoon 8724: "Peter Rabbit and his sisters Floppy Disc and Mopsy." 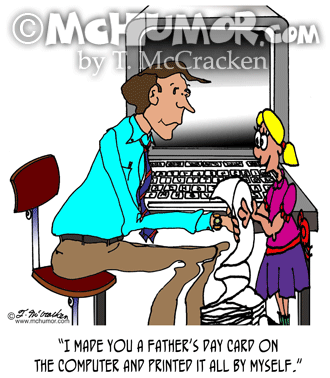 Father Cartoon 8610: A little kid handing her father reams of paper says, "I made you a Father's Day card on the computer and printed it all by myself."